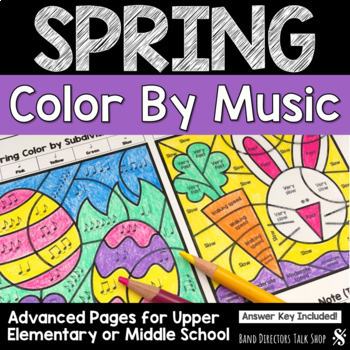 This set of advanced color by music code pages will keep your students challenged and learning! 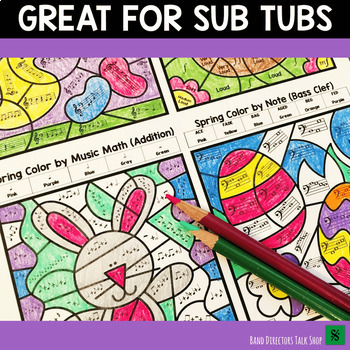 Reviewing and practicing music theory has never been more fun for students and EASY for teachers! ✅ For an peek inside the resource, click the green PREVIEW button above. The color by code sheets are super easy to prepare. Just print and go! Students love the change of pace, but they are still reviewing important music skills. Perfect to add to your music sub tub! ⭐“Excellent review/center activities. Exactly what I needed to provide more practice with this concept. Thanks for sharing!" 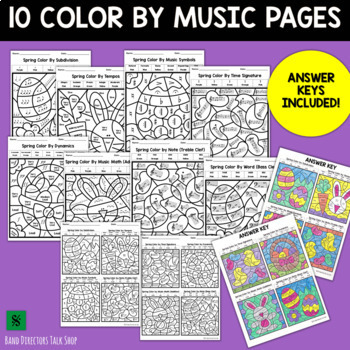 ⭐“Very thorough, and appreciated having many worksheets to choose from"
⭐"I left this worksheet for my students and they liked it much better than the work I left them previously"
If you have any questions, please feel free to email BandDirectorActivities@gmail.com - we are happy to help! Your feedback is important! Please let us know what you think by leaving a comment and earn credits toward future purchases from any TPT store! This product is intended for personal classroom/band hall use only. Buyer does not have rights to share or distribute. The clip art in this document is copyrighted and may not be copied, removed or altered. Additional licenses will always be 50% off (purchase them in the TpT store). If you like this product and want to share it, please purchase the additional license, or purchase an additional license and split the cost of the total with a friend!